Insulated foam containers are designed to keep packages the right temperature during shipping. As more and more businesses are shipping food, medication, perishable items, and other shipments that must be kept cold, insulated packaging becomes more and more important. It’s critical that certain items arrive at the correct temperature. This is crucial for both health and safety reasons and for customer satisfaction. At the Packaging Company, we always strive for customer satisfaction. That means giving you the tools you need to operate your business and ensure that your customers are happy. 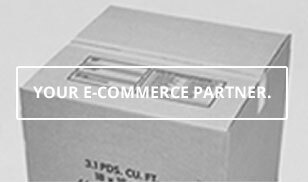 We work to provide high-quality and reliable packaging solutions that help your business succeed. You can trust our insulated packaging to be a cost-effective solution for safe shipping. Our molded foam containers come in a variety of sizes so that it’s easy to find the right one for your needs. With years of experience in supplying packaging to many different businesses of all shapes and sizes, we understand the importance of working with a shipping partner that you can trust. Not only do we offer high-quality products, but we also pride ourselves on our superior customer service. We want to be a trusted partner and help your business succeed. Insulated foam is an excellent option for shipping materials that need to be kept at certain temperatures. Not only is it insulated, but it is strong enough to provide protection for your shipment as well. The shipping process can be very rough on packages. Not only can be they easily bumped and knocked during shipping, but they may also have to endure various temperature changes as they move from warehouses to trucks to storage facilities and beyond. Our foam containers provide a level of protection that you can count on. They are an economical, durable, and lightweight option for shipping perishable items, lab specimens, medication, or any other similar items.